The Doilie Foundation currently only operates from Johannesburg and has three learners enrolled at Tertiary institutions. Two of the students study music and one dance. Though the students are majoring in the arts they are encouraged to also excel in academics. All efforts are made to assist the students on academic level while specialising in their chosen artistic fields. Failing of academic subjects leads to two warnings and then removal from the program. Although the original aim was to 'adopt' at least one extra child per year, financial constraints has made it impossible to fulfil this dream thus far. NALEDI DWEBA (23) has been with the Doilie Foundation since it was founded. He started at the National School of Arts (NSA) in Grade 10 in 2012 and after only one year received full colours for music as well as merit certificates for Life Orientation and overall average. He received full colours for music every year thereafter until finishing Grade 12 with a distinction in Music and isiZulu. Before leaving Johannesburg to go study at University of Free State in Bloemfontein with a merit bursary, Naledi held the position of Principal Clarinet in the Johannesburg Youth Symphonic Wind Band as well as First Clarinet in the Johannesburg Youth Orchestra. In 2015 he passed his first year at university with 5 distinctions. 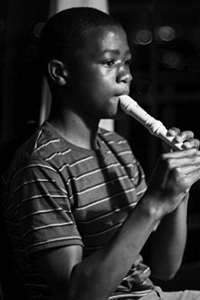 He was invited to attend a clarinet course in 2016 in Belgium where he again excelled. Currently, Naledi is completing the third year of his BMus degree. 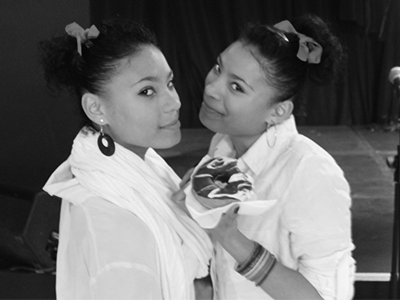 The twins, SHOLAN and SHOLEEN FRANCIS have originally both been with the Foundation, but since the beginning of 2014 Sholeen has been attending a regular school and was no longer a beneficiary of the Foundation though she was still in the foster care of Elzabé. Both girls completed their matric in 2016. THOMAS DWEBA (21) completed his matric in 2016 at NSA and is currently in his first year at the Academy of Sound Engineering in Aucklandpark with the support of the George Hattingh merit bursory. Thomas's training on the viola is proving to be advantageous for his technical studies. 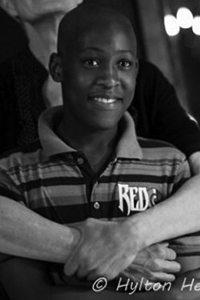 FANELO NDWENI (19) was a student of Dada Masilo at the Dance Factory since he was 8 years old. Throughout his high school career he danced in the Johannesburg Youth Ballet. 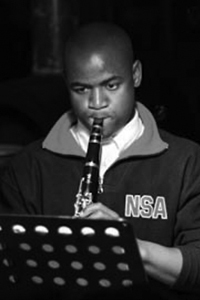 He completed his matric at the NSA in 2017 and is currently a first year student at the Cape Academy of Performing Arts.